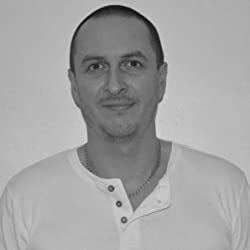 Kevin J Kennedy is a horror author & editor from Scotland. He is the co-author of You Only Get One Shot & Screechers, and the publisher of several best selling anthology series; Collected Horror Shorts, 100 Word Horrors & The Horror Collection as well as the stand alone anthology Carnival of Horror. His stories have been featured in many other notable books in the horror genre. He is an active member of the Horror Writers Association. He lives in a small town in Lanarkshire, with his wife and his two little cats, Carlito and Ariel.